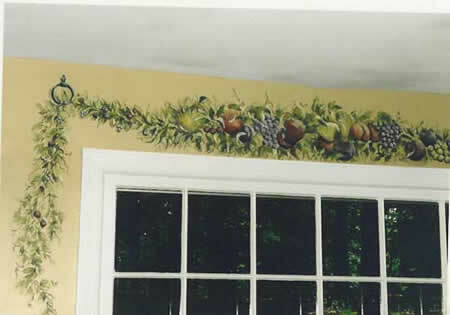 I have been a decorative artist for over 25 years. 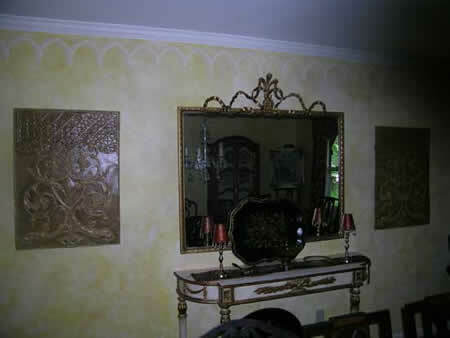 I use glazes, plasters, glass beads, glitter, metal foils, metal leaf, custom designed stencils, hand painted mural techniques and ornamentation. 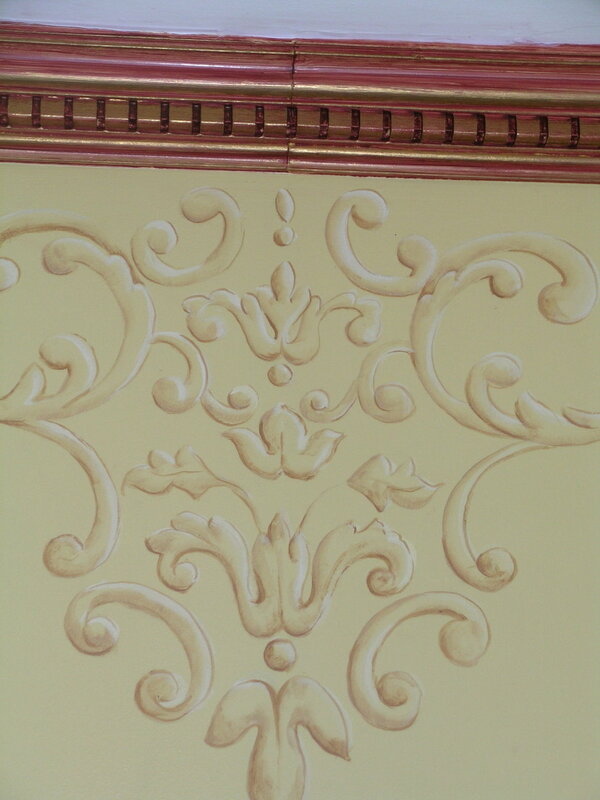 I have painted on walls, furniture, back-splashes, sinks, lighting fixtures, countertops, walls, ceilings and stairs and fabricated concrete, stone, leather and unique ornamental moldings. 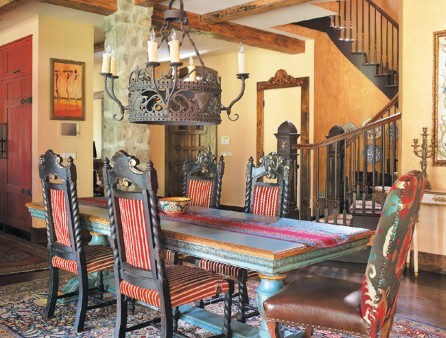 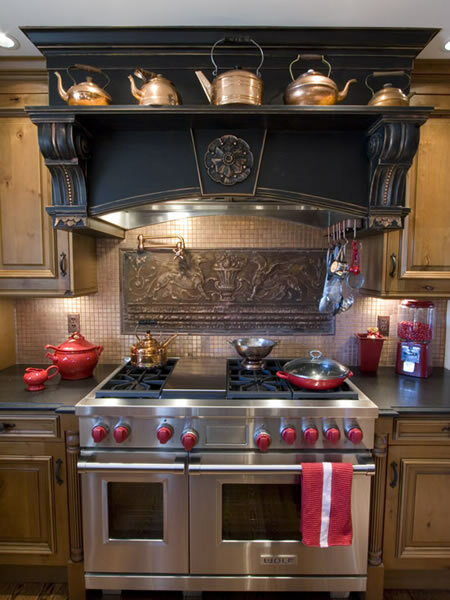 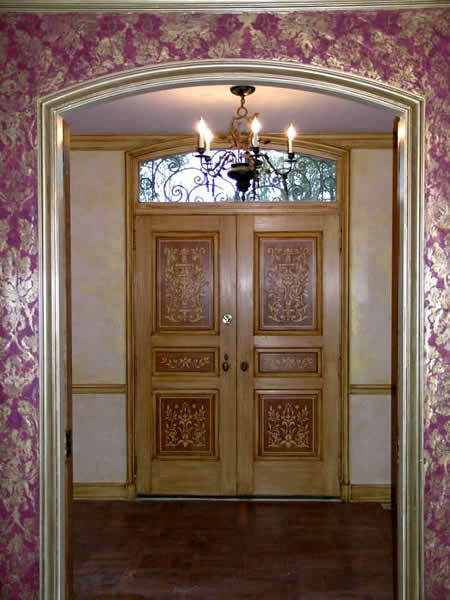 I am a member of the International Decorative Artisans League and I keep up on all the latest design trends. 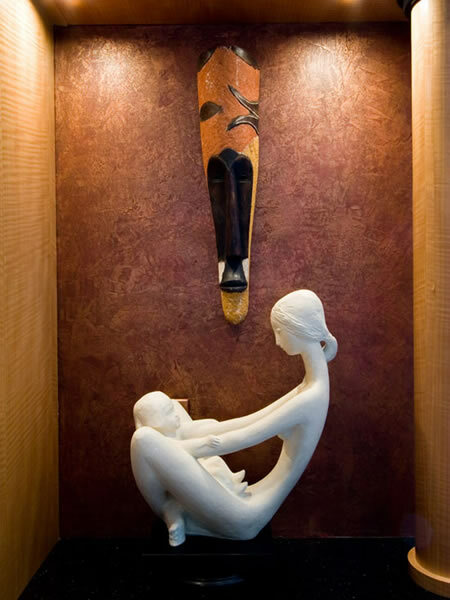 I also have an incredible network of talented artists in the area with whom I collaborate. 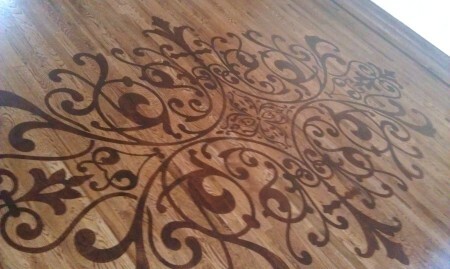 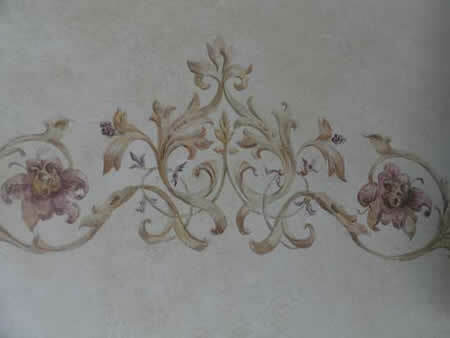 I design your surface after a personal consultation. 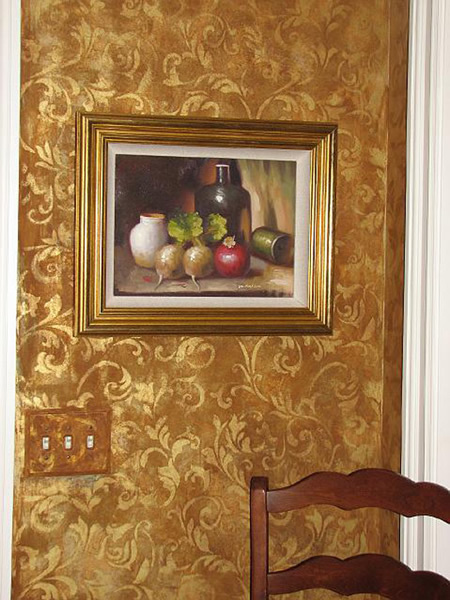 Here is a selection of my finishes. 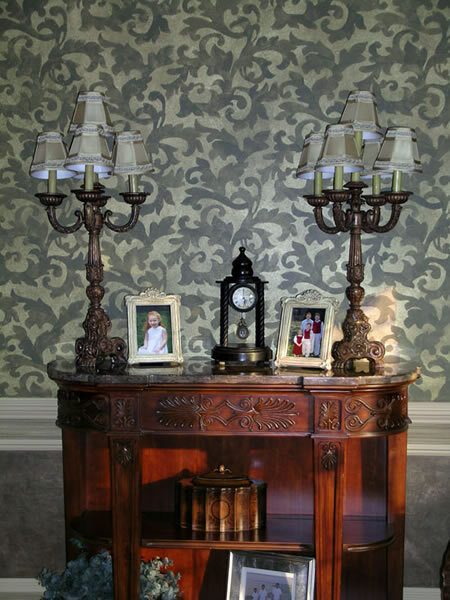 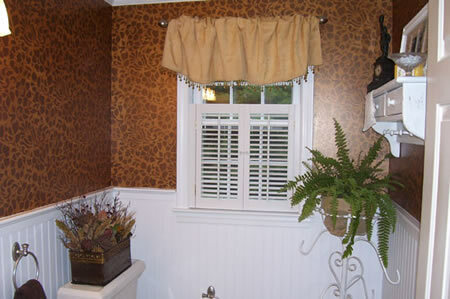 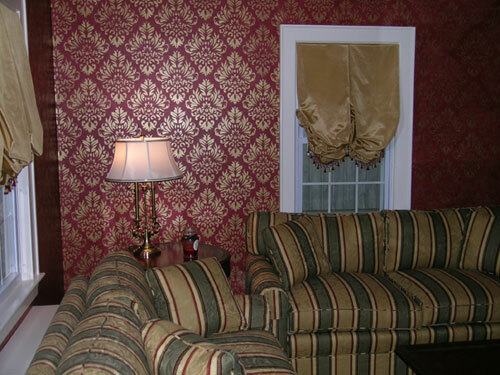 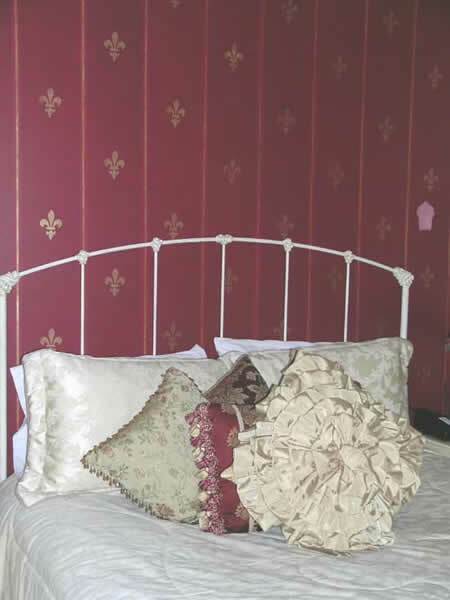 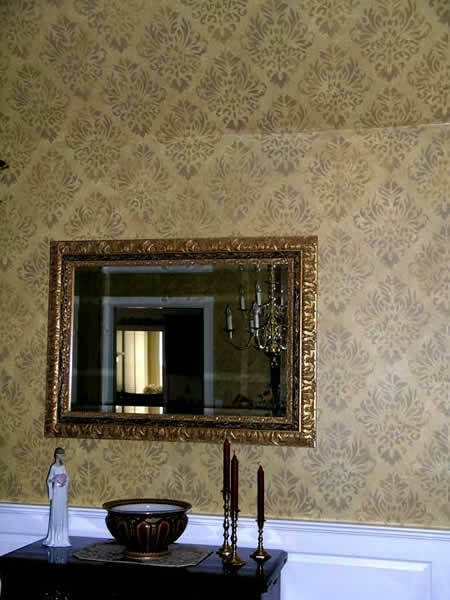 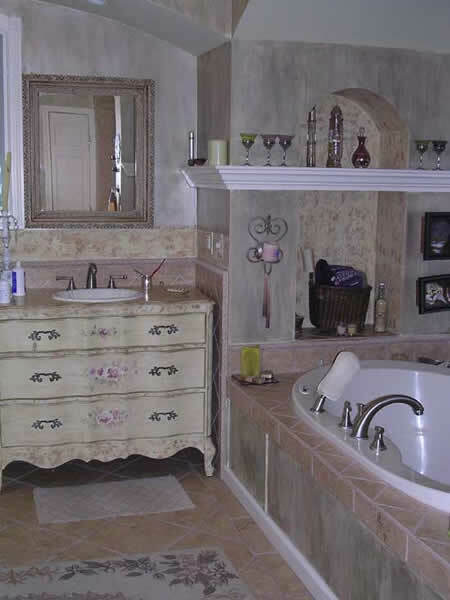 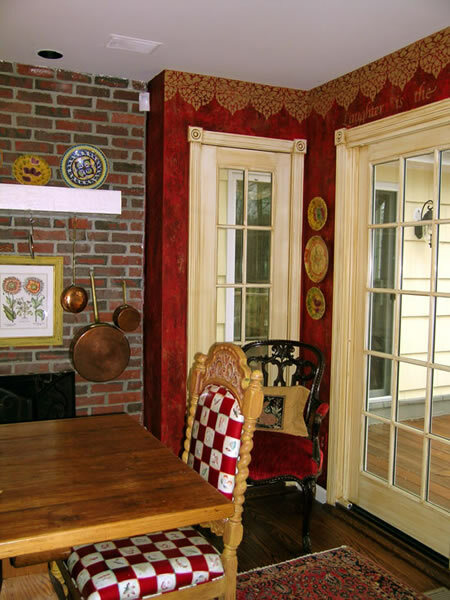 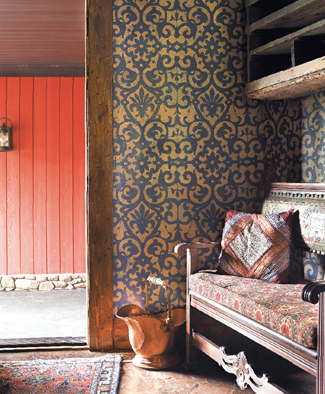 Damask patterns and all-over designs are the solution to any room that could use additional pattern. 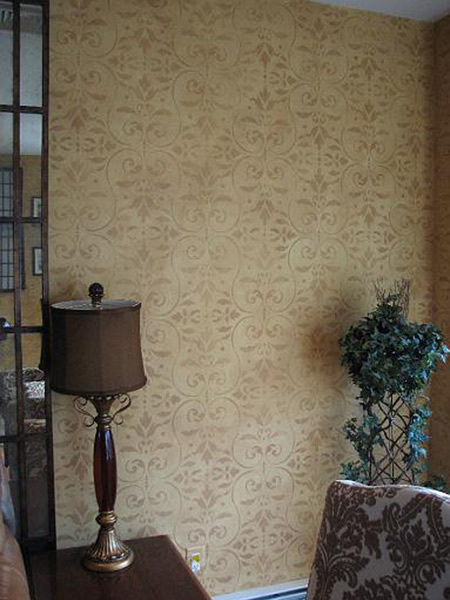 These designs are often found in areas where fabrics are minimal and the walls can really be the highlight. 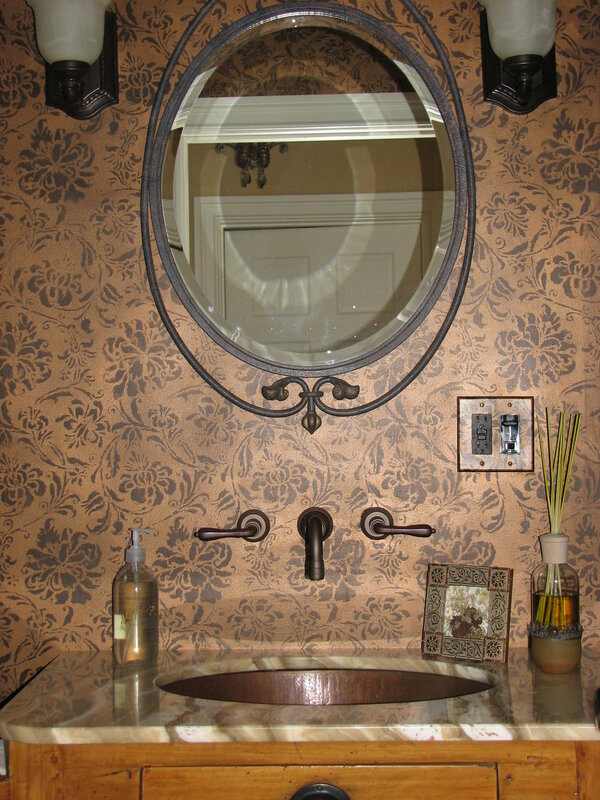 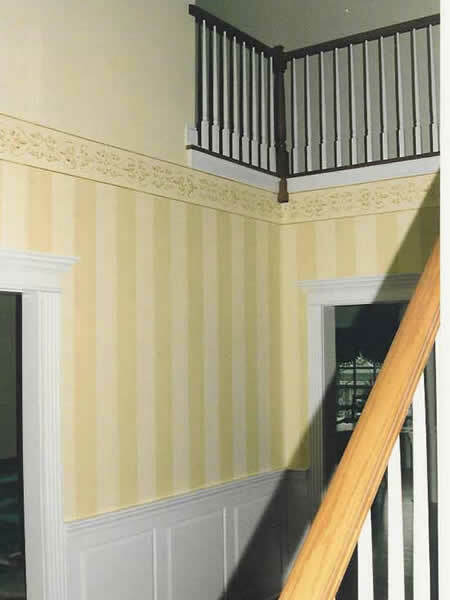 Patterns can be sophisticated victorian, contemporary, geometric, or neoclassical. 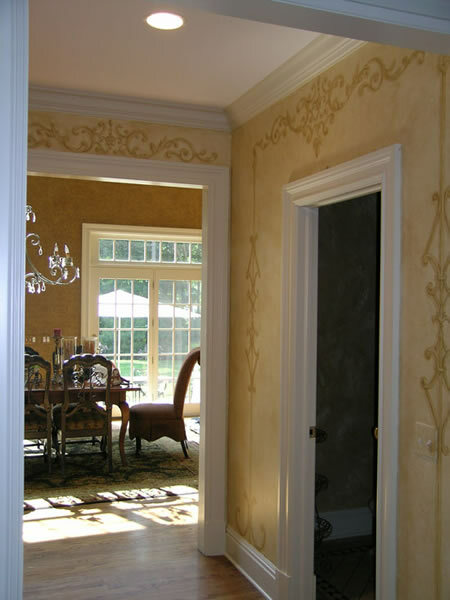 There are many existing patterns available by stencil distributors but we often design our own patterns that are a custom match to your specific room and your home's personality. 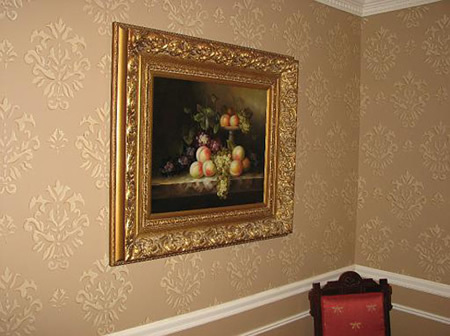 The finished product may look like wallpaper, but will last a lot longer and...it's always fun when your company tries to find the seams! 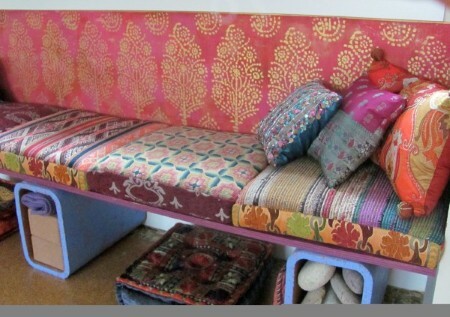 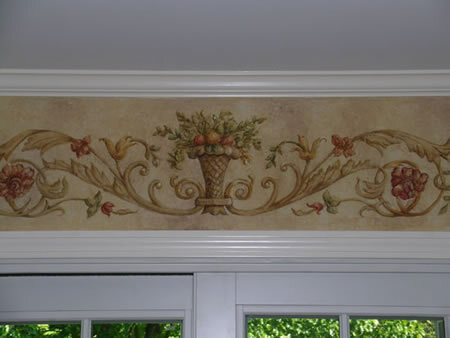 Often the solution to an empty space is hand painted decoration. 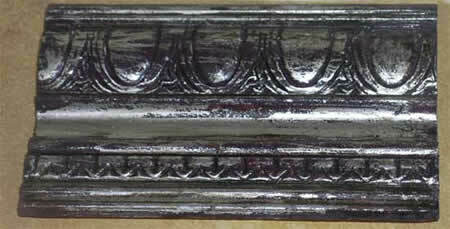 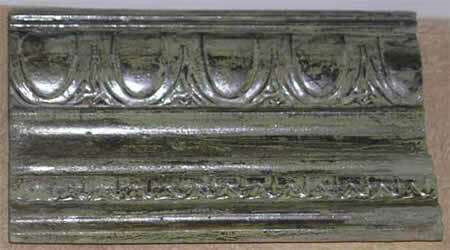 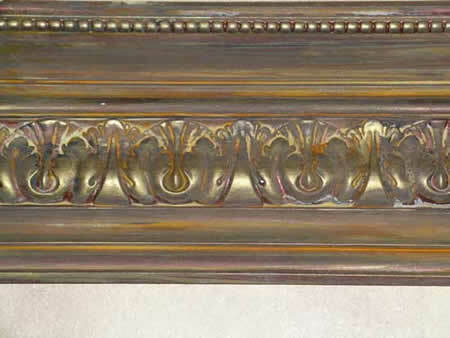 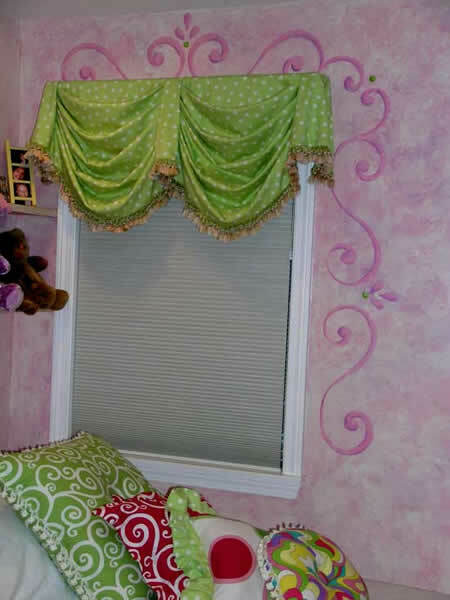 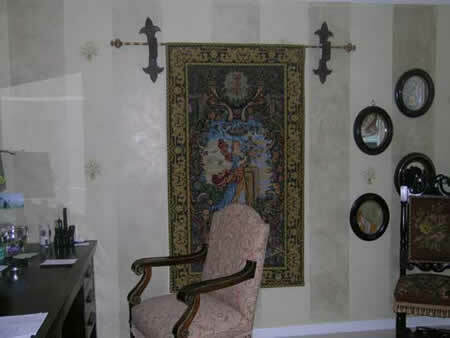 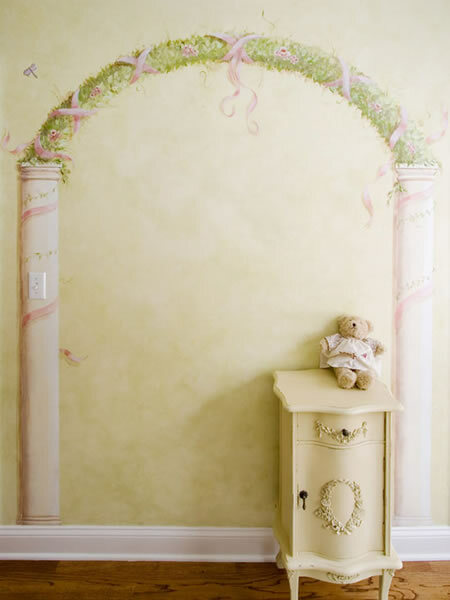 Sophisticated ornamentation can dress up any area, over a doorway, window or bed. 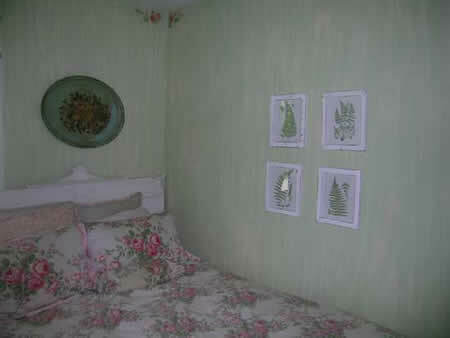 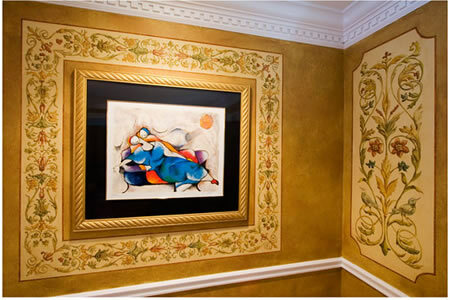 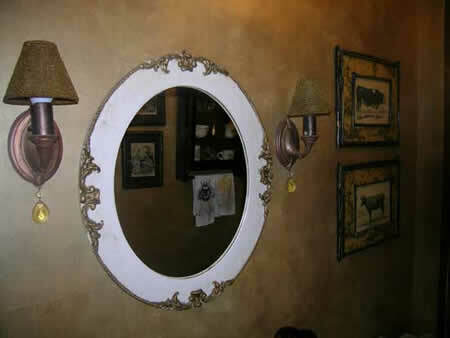 Framed art or photographs can be bordered to create emphasis. 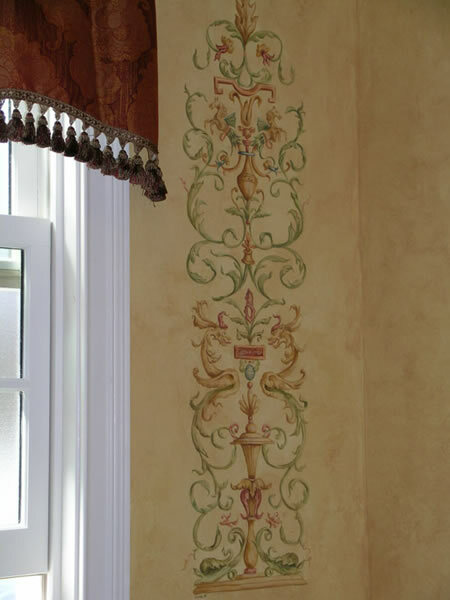 Add elegance to a chandelier with a hand painted medallion or create your own floor ornamentations in corners. 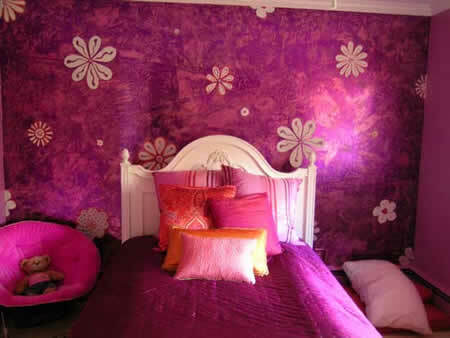 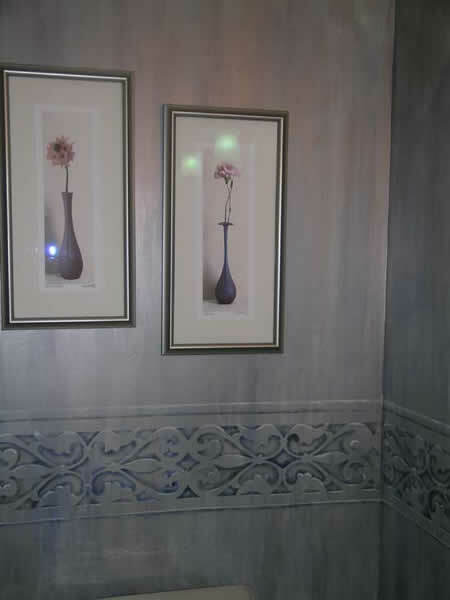 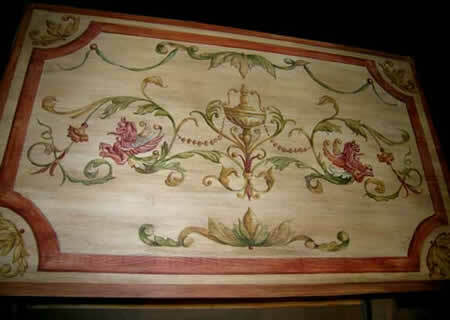 The ideas for hand painted decoration are unlimited. 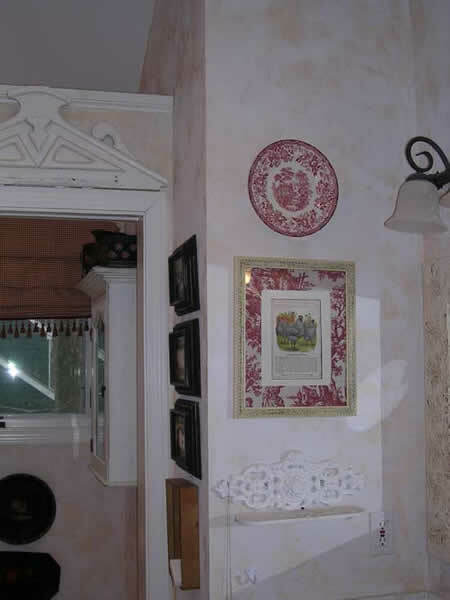 Wall finishes with paint are as unlimited as the color palette. 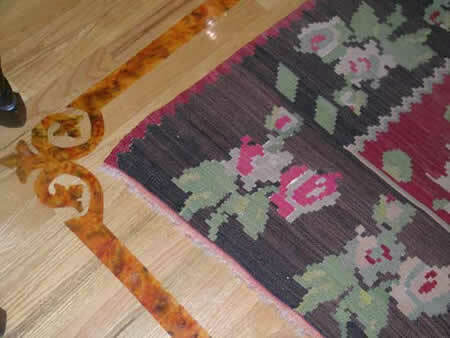 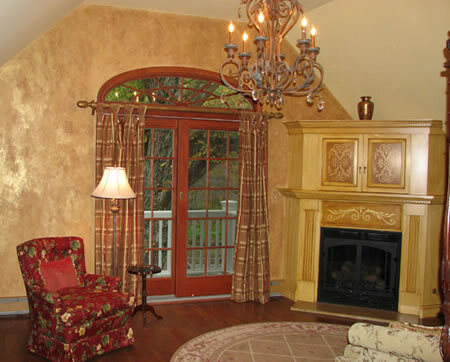 Start with your own favorite area rug or window treatment and let us take it from there. 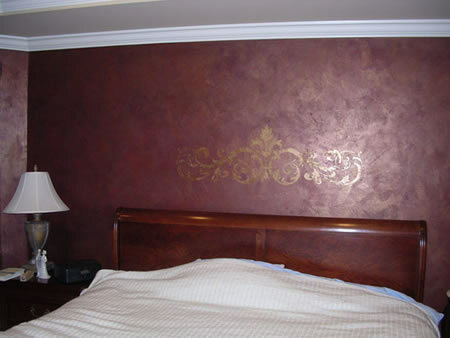 From a simple color wash to a four layer metallic finish, the ideas are endless. 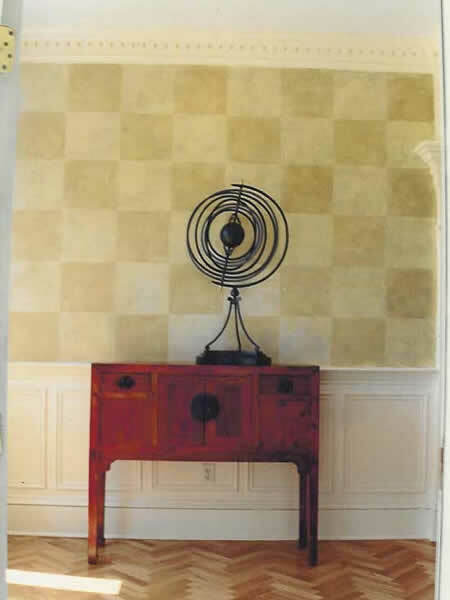 Create height with stripes, warmth with a leather texture, antiqued walls with distressing and strie. 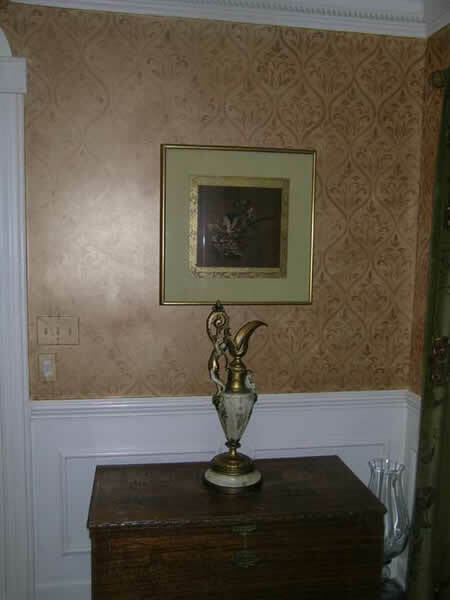 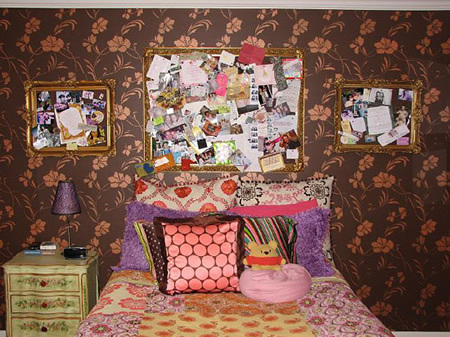 Remember, your walls are as important as your choice of furniture. 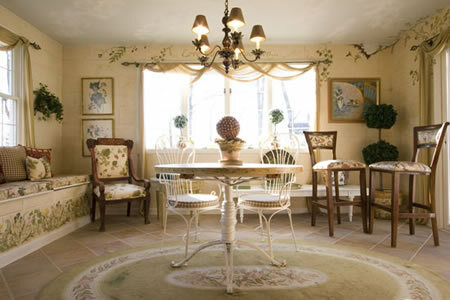 They are the room's personality! 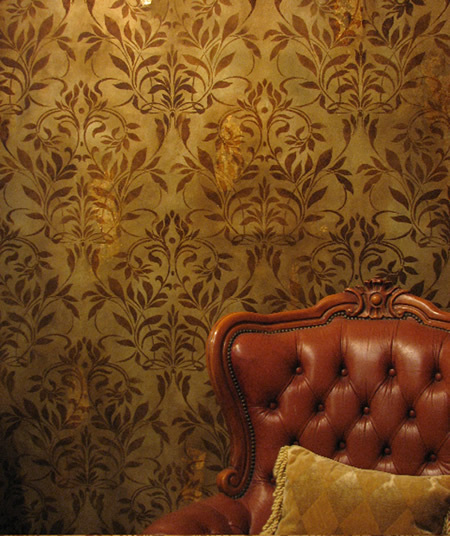 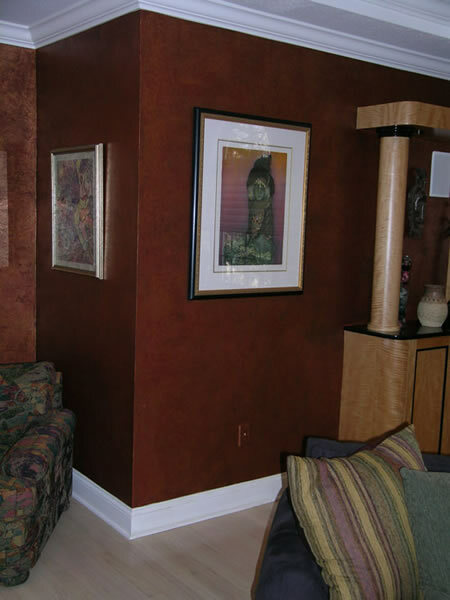 Adding real texture to walls can give them incredible dimension and depth. 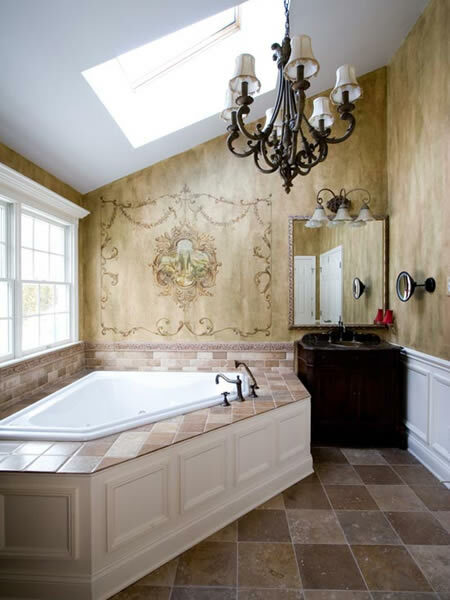 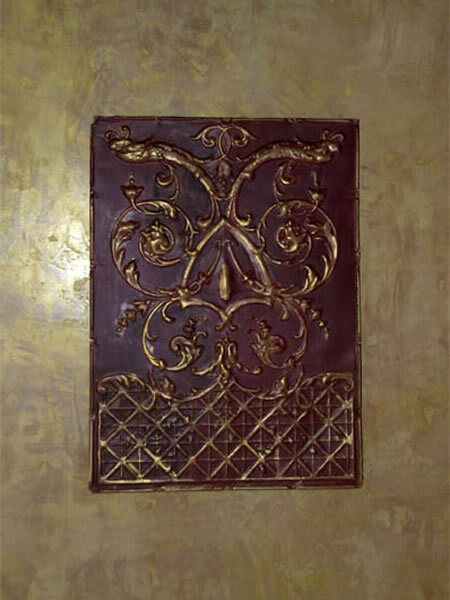 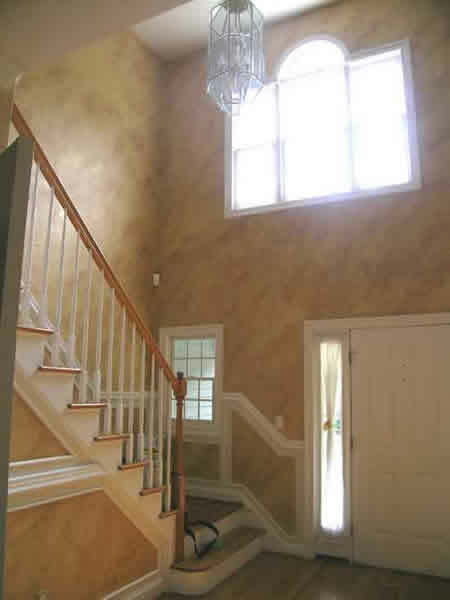 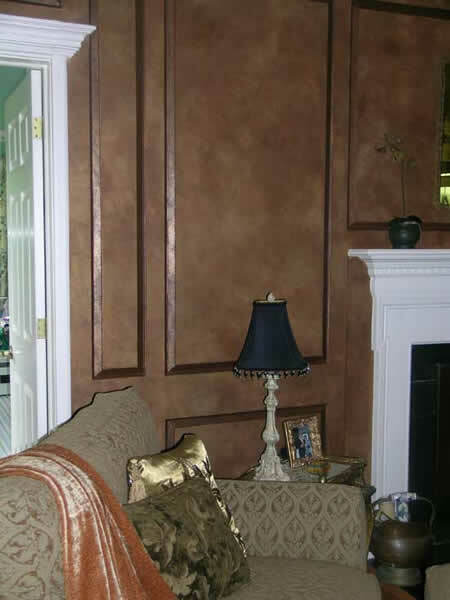 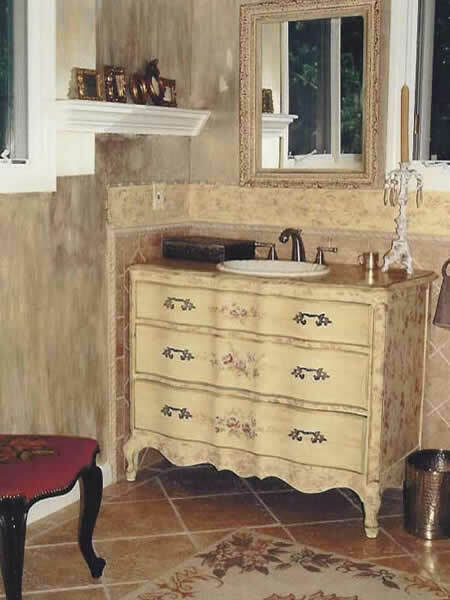 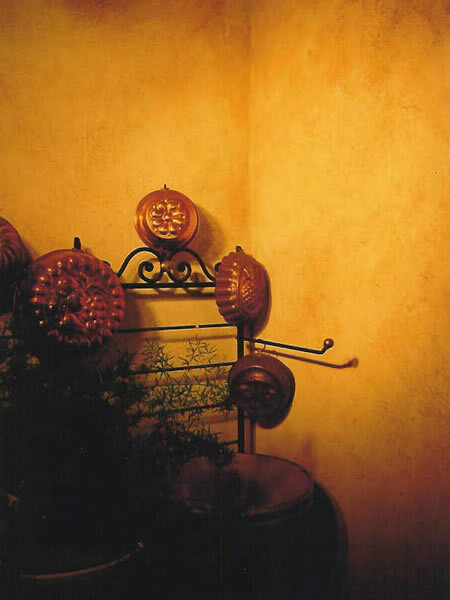 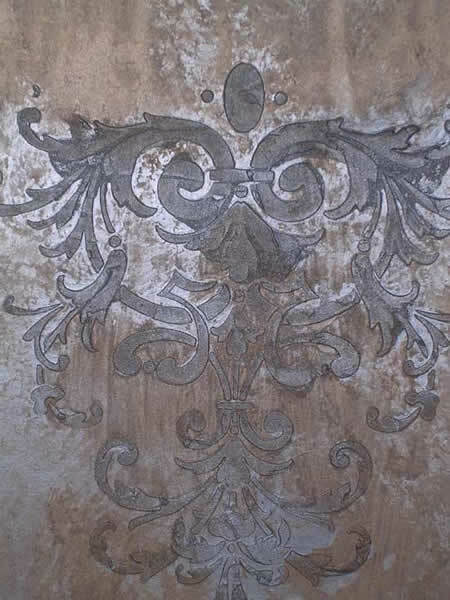 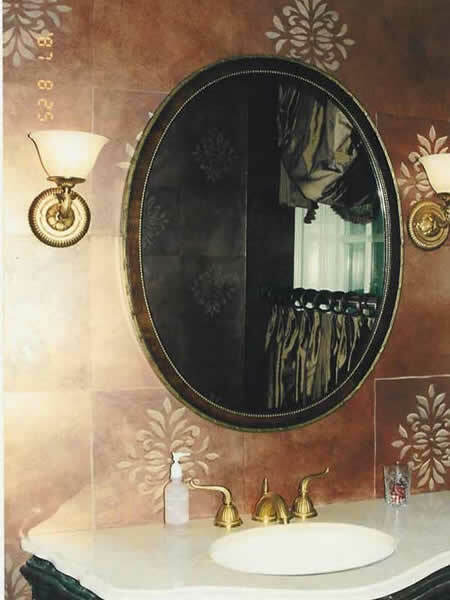 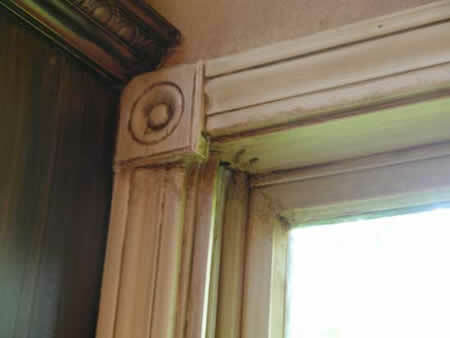 From old world stucco with embedded glaze to smooth as glass venetian plasters, these finishes are timeless and were used by the European masters for centuries. 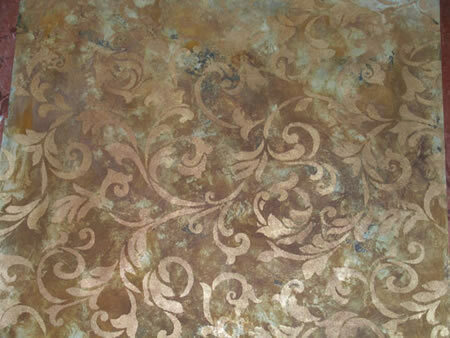 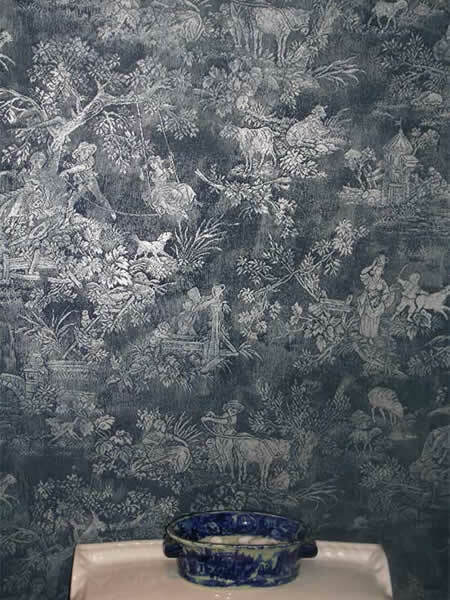 Embossed plasters , metallic topcoats, interference colors and lace designs are the latest trend in the industry. 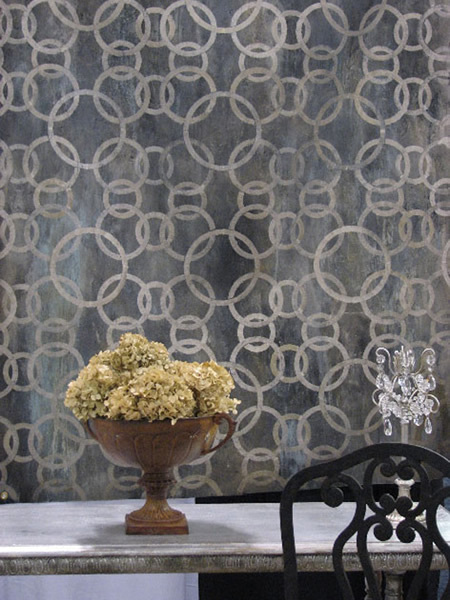 In our studio we are always trying new products to offer our customers the most interesting in textured finishes. 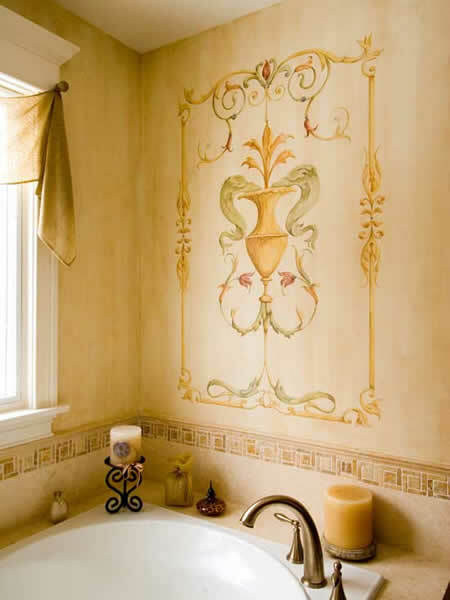 There is nothing more personal on your walls than a mural. 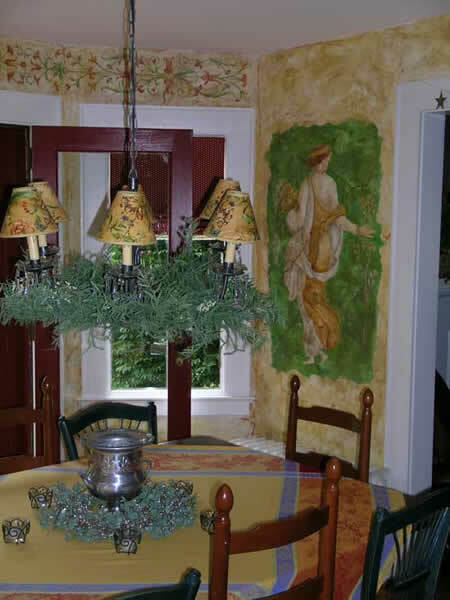 Your own custom artwork, hand painted to create whatever ambiance you want. 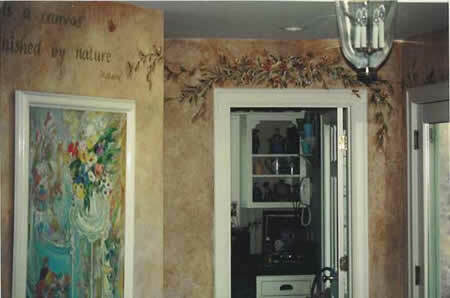 Murals are completely customized for each individual project and can be large scale and detailed or small accents. 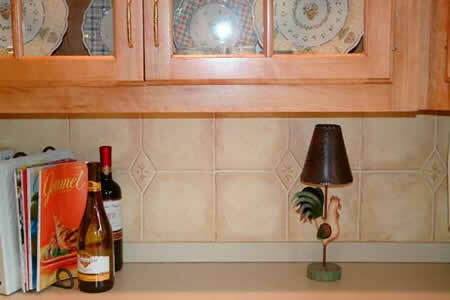 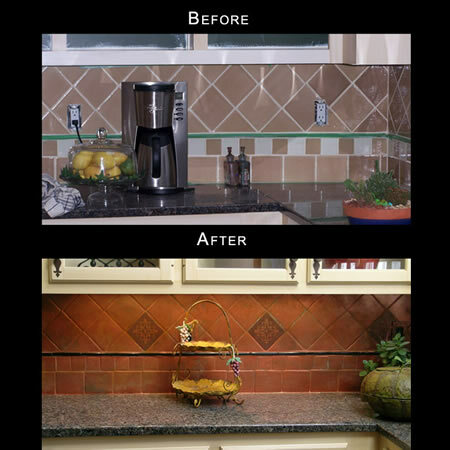 Faux painted tile and stone block are great for backsplashes, sunrooms, etc. 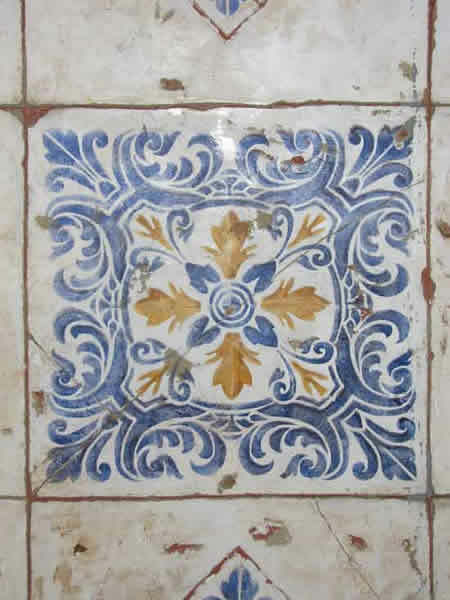 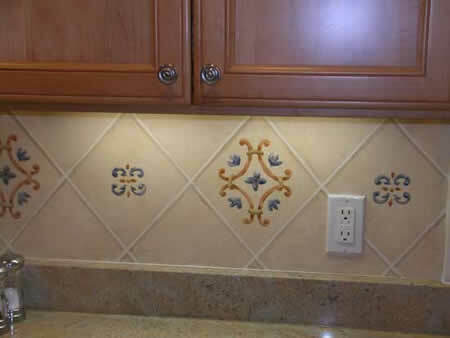 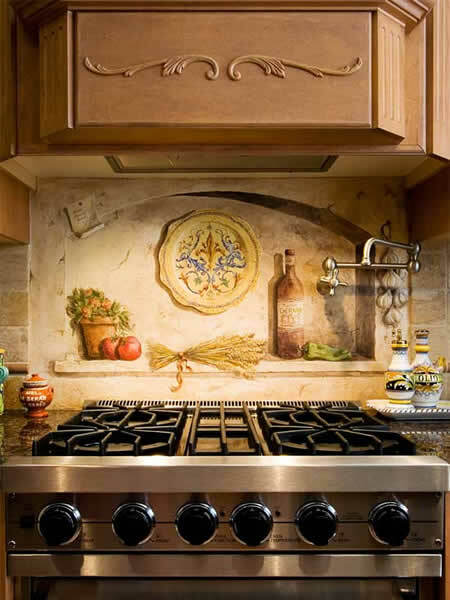 If you can't find what you want in the tile store, we'll be able to create it for you. 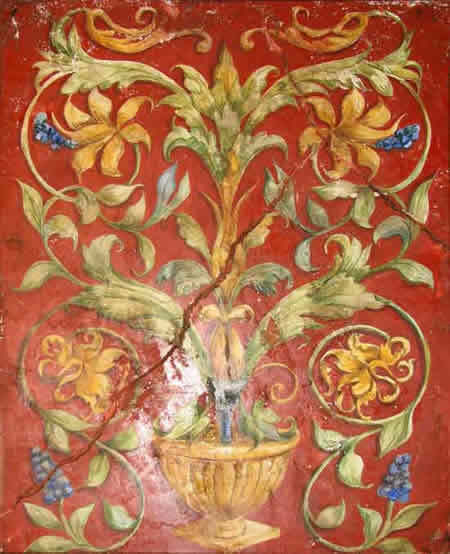 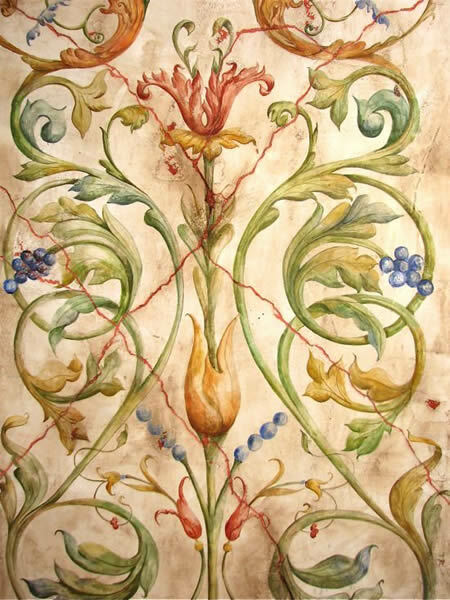 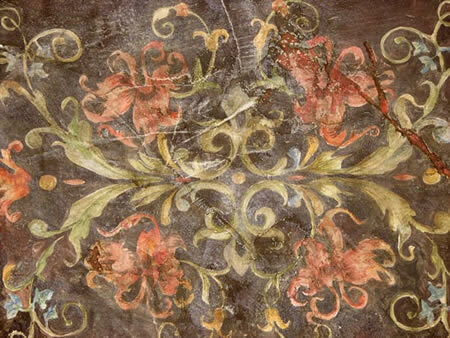 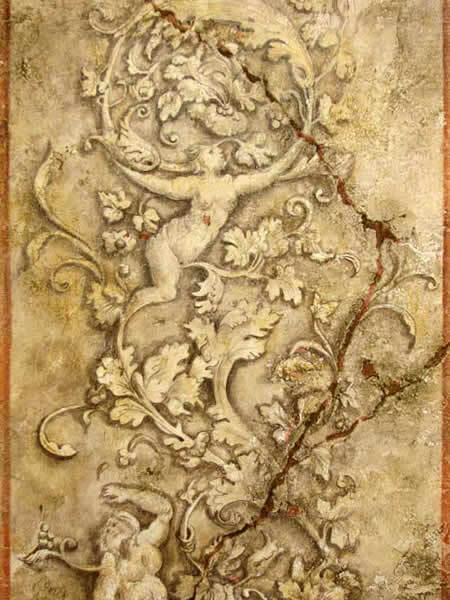 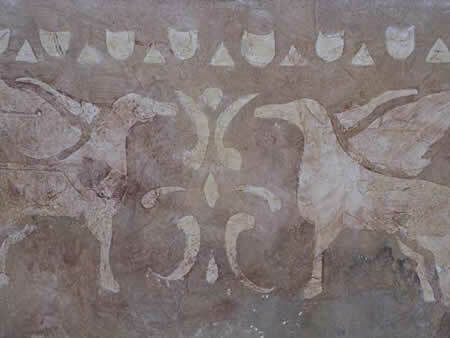 Frescoes, the art of painting with pure pigment on a wet limestone surface, has influenced much of European art for centuries. 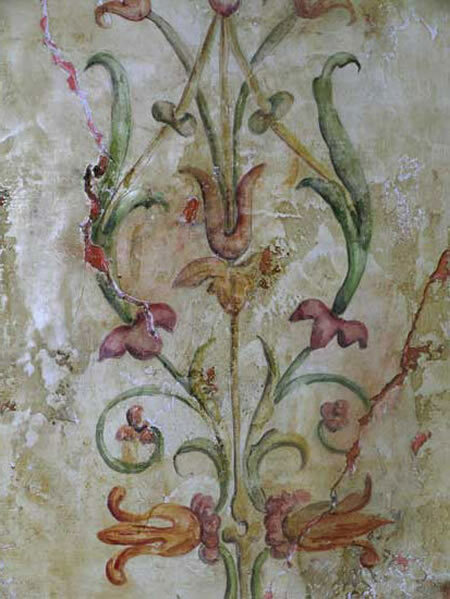 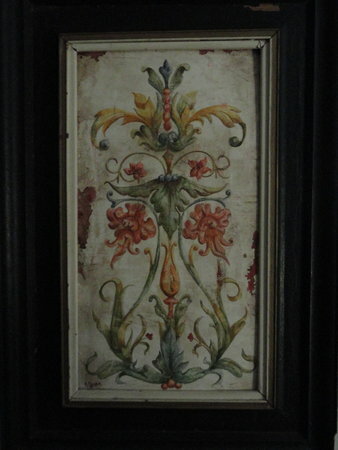 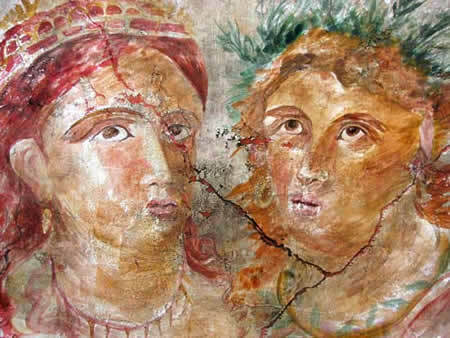 Frescoes can depict painterly narratives or various styles of ornamentation. 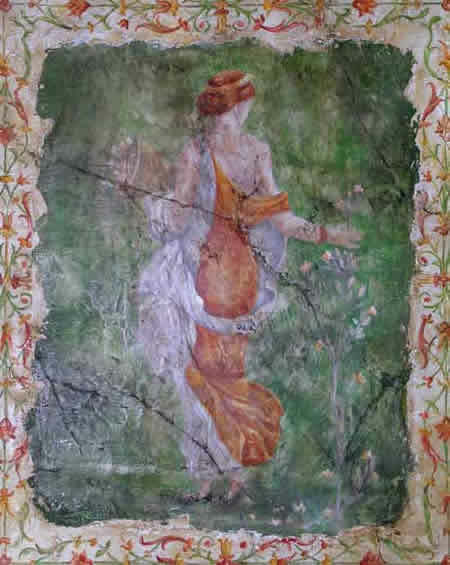 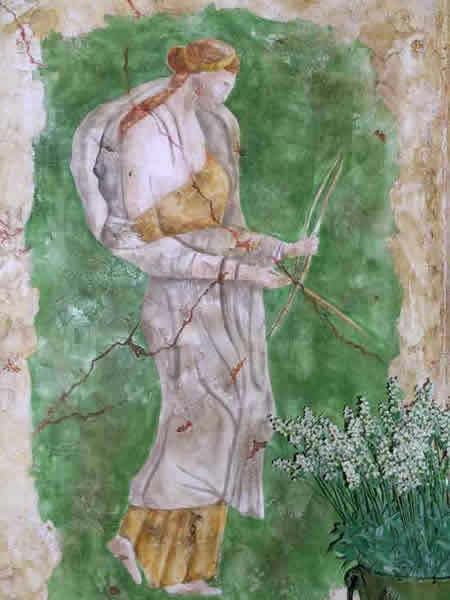 Cynthia's designs are influenced by her travels to Europe to study and seek out rare frescoes from the villas and grottos of Italy to the ancient Greek caves. 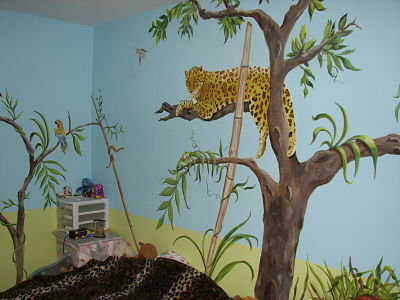 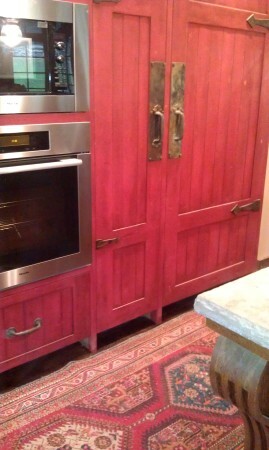 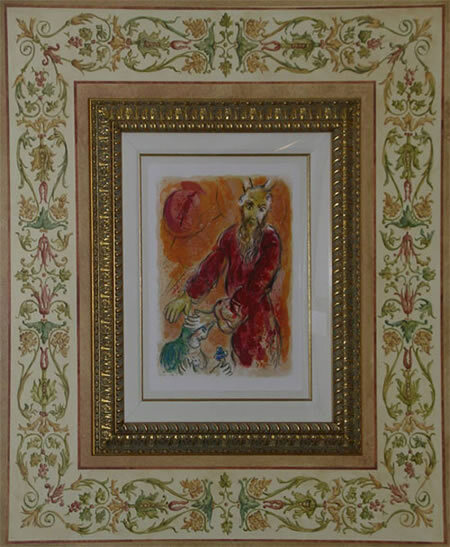 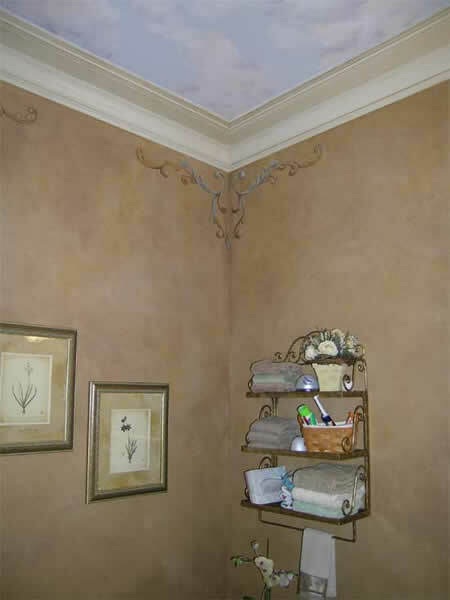 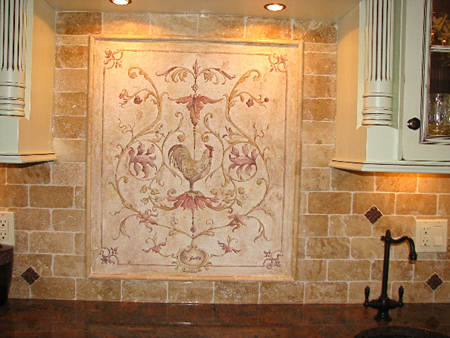 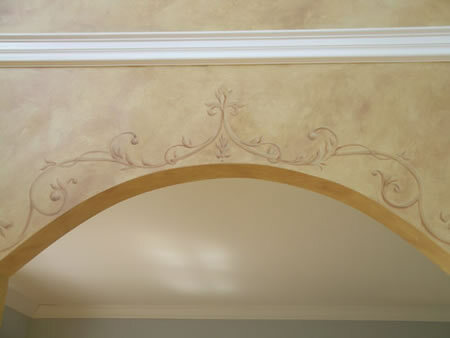 You can have a frescoe customized to fit any space in your home. 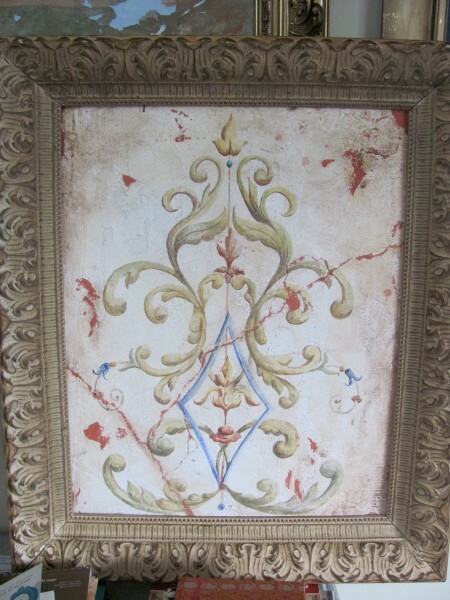 Smaller sizes are done on a nonflexible board for framing. 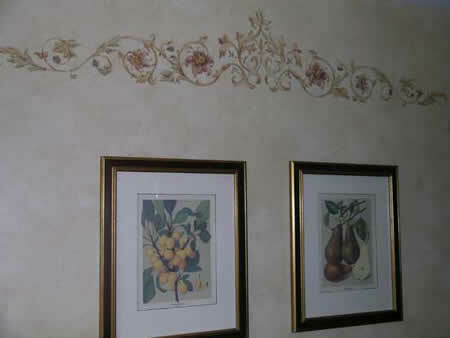 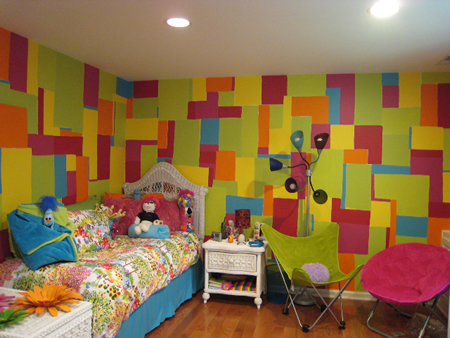 Larger sizes can be done directly on the wall. 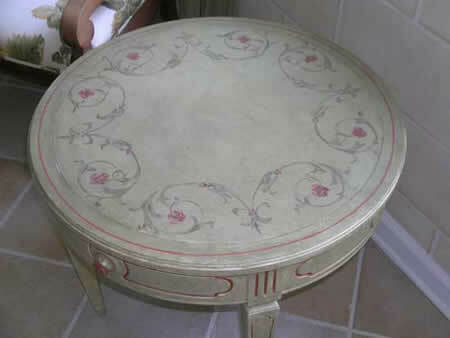 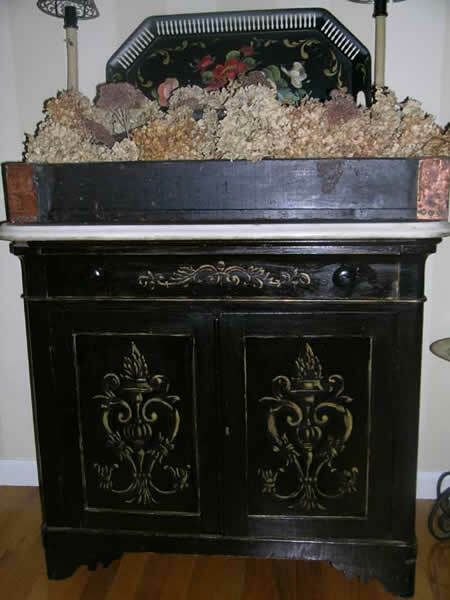 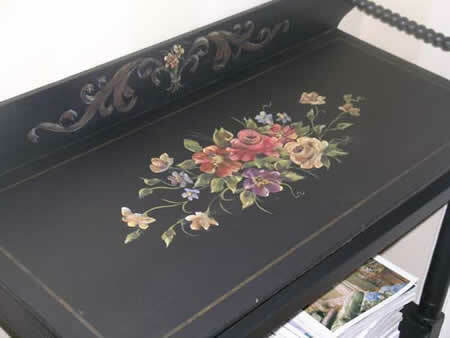 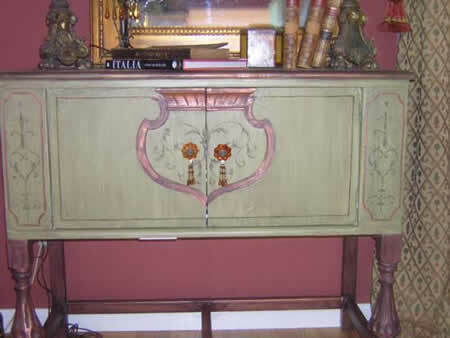 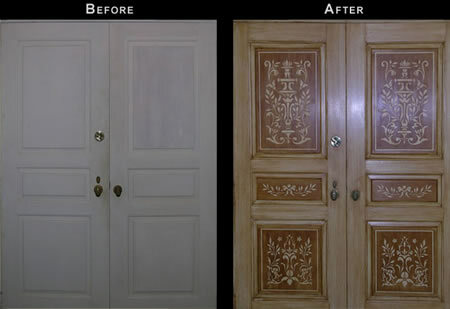 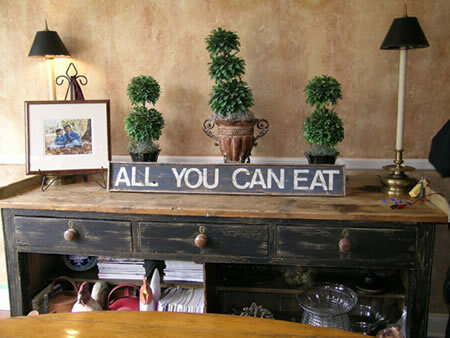 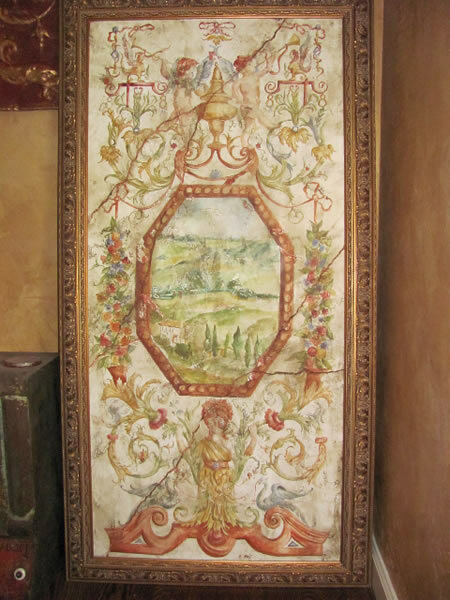 An old flea market find can become your most elegant entryway peice with a little hand painted embellishment. 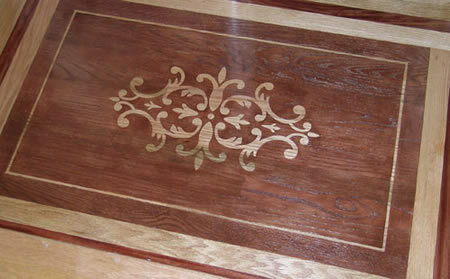 Add detail to panels and drawers or change a piece totally and give it new character.